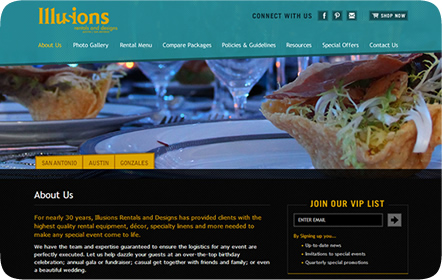 Illusions Rentals & Designs is a high-end event rental company that is part of The RK Group. 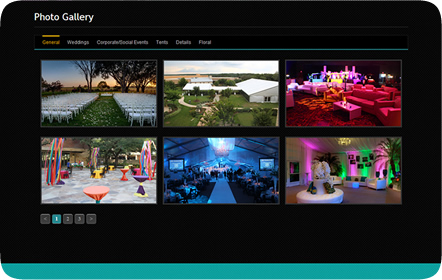 From weddings to galas to fundraisers, Illusions Rentals & Designs focuses on every detail to ensure your event is perfect and fits your needs. Table linens, fine china, flatware, tents and flooring are just a very small part of their expansive product and service offerings. 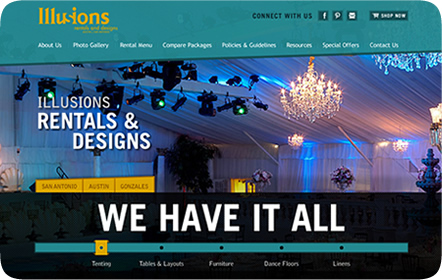 Prior to working with us, Illusions' website was within another website; its content was very limited and did not put enough focus on their work and their products. 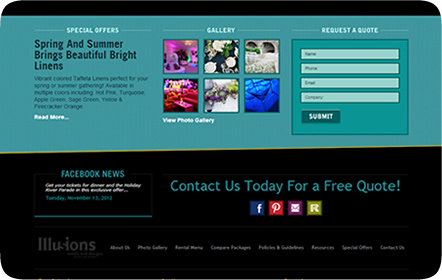 Part of this new, stand-alone website was to showcase their company in a more user-friendly manner. 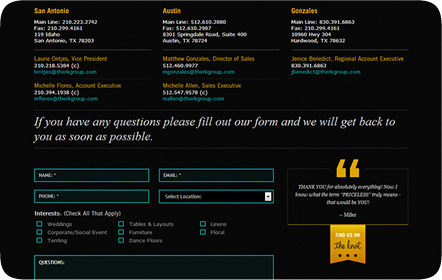 We designed the website with bold colors, a navigation that is easy to follow throughout all the pages, including the additional bar that emphasizes their three main locations in Texas. Currently, a brand-new, more comprehensive shopping cart is being developed so users can browse through their full selection of products. 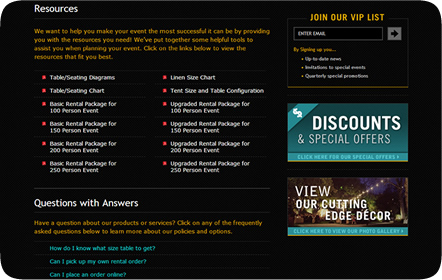 Customers can then pre-order their items and receive an estimate within less than a day.